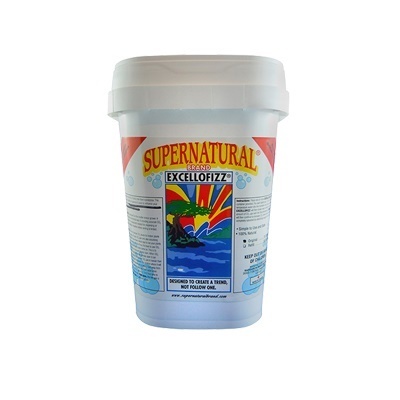 Supernatural Excellofizz provides reliable, accurate, worry free CO2. The scientifically metered formula is simple and safe to use. It is 100% natural and very economical. You don't need any expensive equipment. Simply put one packet into the tub provided. Slowly add 100 ml of room temperature water onto puck. Leave lid off. CO2 gas emits for approximately 8 hours. Eucalyptus has been added to the pucks for a refreshing and uplifting fragrance and will cover unwanted odors. Eucalyptus also kills airborne bacteria and dispels mites. Excellofizz is designed for the smaller indoor grower. • Excellofizz is safe to use around people and pets and will not raise the CO2 to dangerous levels. • Excellofizz is economical for small to medium size greenhouses. Requires no expensive dispensing or monitoring equipment. 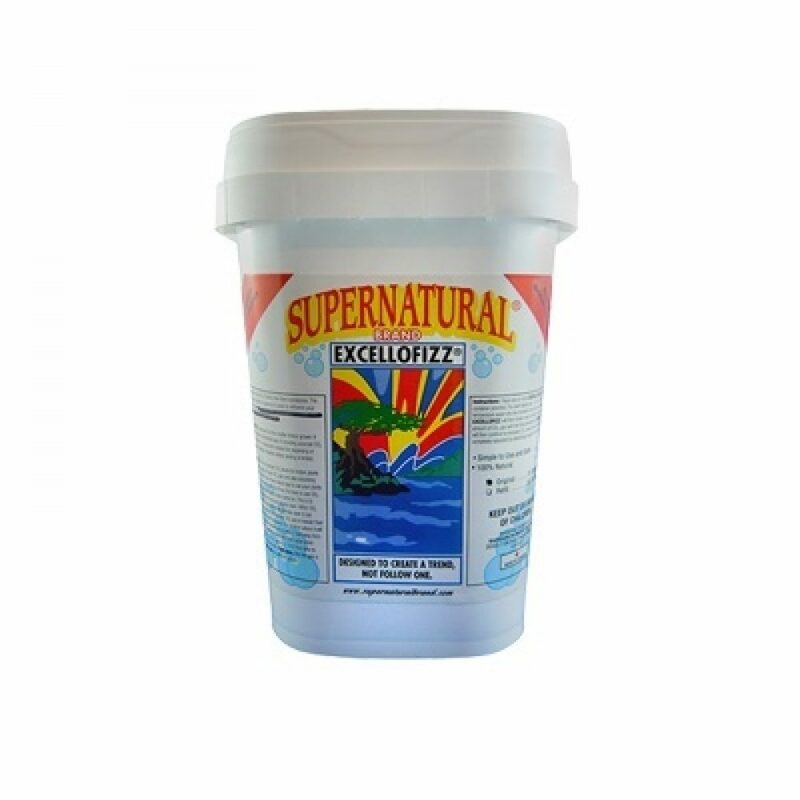 • Excellofizz will not add heat or moisture to your greenhouse. In fact it will remove some heat and moisture. • Excellofizz contains pure natural environmentally friendly ingredients that can be safely disposed of. • Excellofizz is simple to use, just add water to activate. Excellofizz releases a refreshing fragrance of eucalyptus which absorbs odors and may deter insects. Excellofizz is available in a 15 puck or 50 puck containers. Excellofizz is to be reacted at least one hour into the photoperiod allowing enough time for the stomata in the leaf tissue to open. This gives the plant the ability to begin to absorb carbon. Excellofizz pucks will react approximately 5 hours into the photoperiod. Excellofizz is to be used through the vegetative stage and three weeks into the flowering.